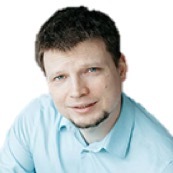 Slava is a Professional Scrum Trainer, Agile Coach, Change Agent, Speaker; and Evangelist of Agile Culture. He is based in Singapore and offers Scrum training courses with certification. Slava has 10+ years experience with Scrum and Agile and 15+ years of experience in IT. Over the last 10 years Slava has been helping organisations including UBS, Deutsche Bank, BMW, Microsoft, Luftahansa, Nordea, Credit Suisse. He trains and coaches Scrum Masters, Product Owners, Development Teams and organisations in their transition to Scrum and Agile. Slava is always happy to arrange private training for your company. Please get in touch to find out more.